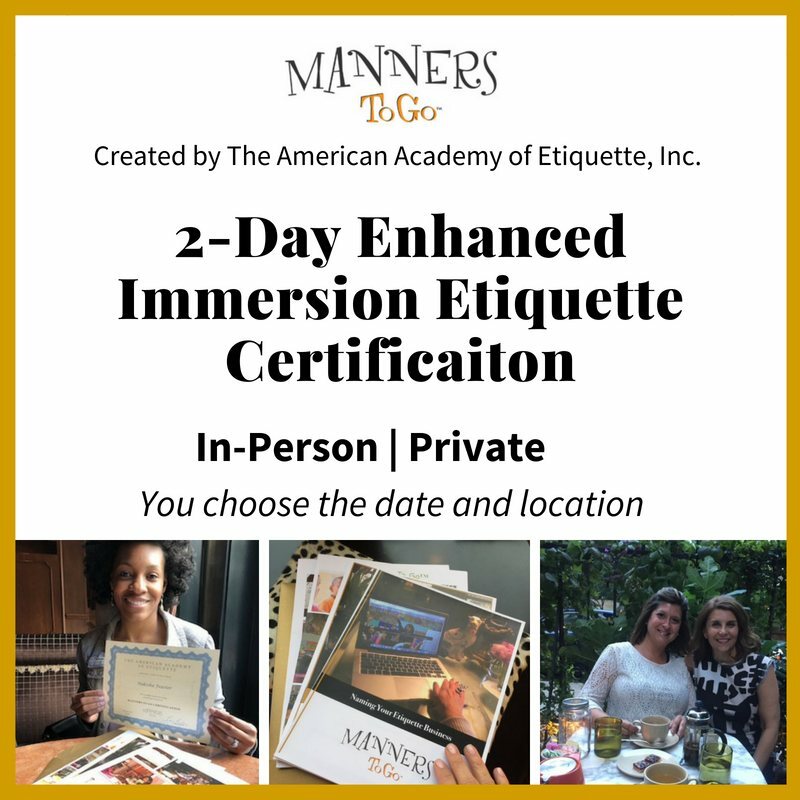 Imagine getting all the tools and training you need to launch your own successful business teaching manners to children – in two days. Our time together during your two-day training session will focus solely on you and your new business. 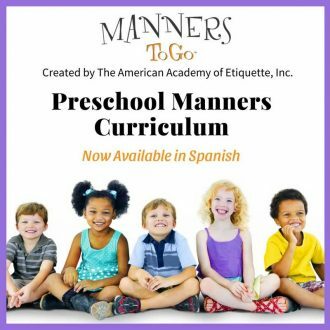 Our focus will be getting you certified and trained on teaching the Manners To Go curriculum. I will teach you everything you need to know about the materials and how to organize and lead a class. We will have lunch at a beautiful downtown restaurant where I will show you what you need to know about dining etiquette and table manners in America as well as across the world. Our afternoon will commence with you observing me teaching a manners class. This is an invaluable opportunity, as I am known for my ability to make an immediate difference for children. You will be inspired to teach in a way that has an impact and a method that is relevant to how children learn. The Manners To Go method is not about judgment but about self-respect and to show how we all can have confidence. After a quick energy boosting power lunch, you will have a second opportunity to observe me teaching a class. After a refresh at your hotel, we will head out to dinner at a fabulous restaurant. You will leave our two-day immersion feeling inspired, energized and ready to start your new business. You will receive a phone call from us regarding dates, location and travel schedule. Raleigh NC. 27615 (hereinafter referred to as Licensor). includes many additional benefits and features of certification. 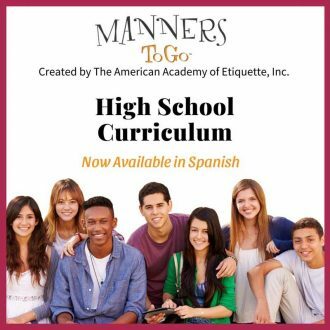 Academy of Etiquette to teach this proprietary educational series. and greatly expand upon the the four hour 1:1 training noted above. shall be subject to the limitations on use as described in Section 4 below. 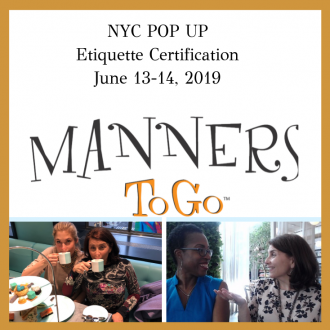 Go and The American Academy of Etiquette. modifying all or part of the Program Materials without the consent of Licensor. website in promoting educational and consulting services. unpublished work without the written permission from Licensor. Materials and shall not permit or sublicense others to do so. and groups. Trainee may not use the materials to train others to teach etiquette. 3 years at the license fee applicable at that time. otherwise change the content or illustrations contained in the Program Materials. Materials which Licensee is authorized to reprint pursuant to this Agreement. shall immediately notify Licensor in writing. shall return immediately to Licensor all Program Materials. number 1 above. This fee includes the elected One to One Immersion Training. and are the responsibility of the respective parties. Agreement, it shall be entitled to recover reasonable attorney fees. in accordance with the laws of the State of North Carolina. or sublicense any of the rights, authorizations or permission granted herein. shall be effective unless signed in writing by both parties.